All seeding has been set as we approach the beginning of what should be a highly competitive 2017-18 NBA Playoffs. There’s no shortage of intriguing first-round match-ups. The various storylines will be flying fast and frequently as we await the playoffs’ opening tip-off Saturday between the Golden State Warriors and the San Antonio Spurs (3:00 p.m ET/12:00 p.m. PT). Toronto’s postseason struggles have been well documented. DeMar DeRozan and Kyle Lowry are far less efficient players down the stretch. Duly, the team as a whole seemingly gets spooked in any high-intensity moment. Though there’s plenty of positivity emanating from this past year, the collective psyche of the city is beset by the proverbial bugaboo of underachieving once again. Toronto deviated from a predominantly iso-centric scheme into one which fosters more of an emphasis on both tempo and shooting from beyond the arc. It’s resulted in more efficiency on the offensive end. The Raptors are also as deep as any team in the league. The bench quartet of Delon Wright, Fred VanVleet, Jakob Poeltl, and Pascal Siakam all play meaningful minutes. With all of that said, Toronto drew an unlikely first-round opponent in No. 8 Washington. Without question, this is not your average lower playoff seed. On talent alone, Washington is a top-four seed in the Eastern Conference. Had John Wall not missed half the season with an injury, Washington’s playoff position likely would’ve resembled the talent sentiment. 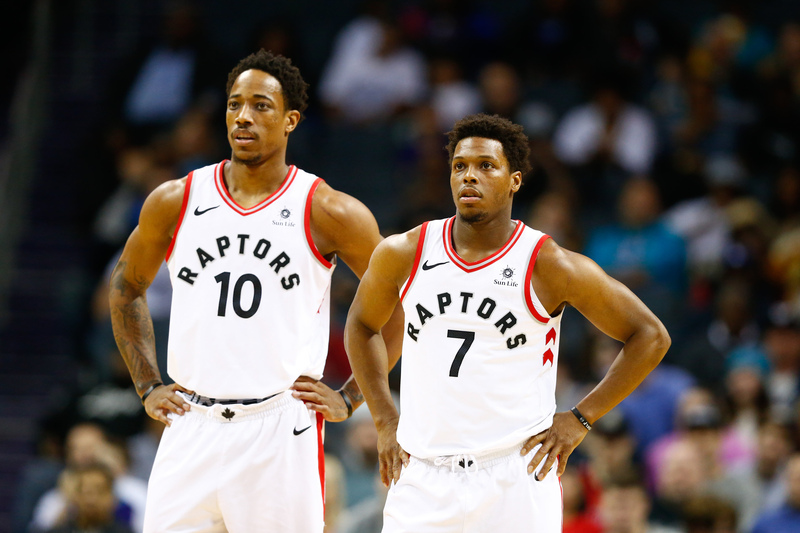 The backcourt of Wall and Bradley Beal can match Toronto’s one-two punch of DeRozan and Lowry. Otto Porter and Markeiff Morris are more than serviceable, and the bench production (Mike Scott, Kelly Oubre Jr., Tomas Satoransky, Ian Mahinmi) is actually better than it’s been in past years. Above all else, there’s a ton of pressure on Toronto. This is arguably the best team in the history of the franchise. It finished with the best record in the East, and the second-best record in the entire league. 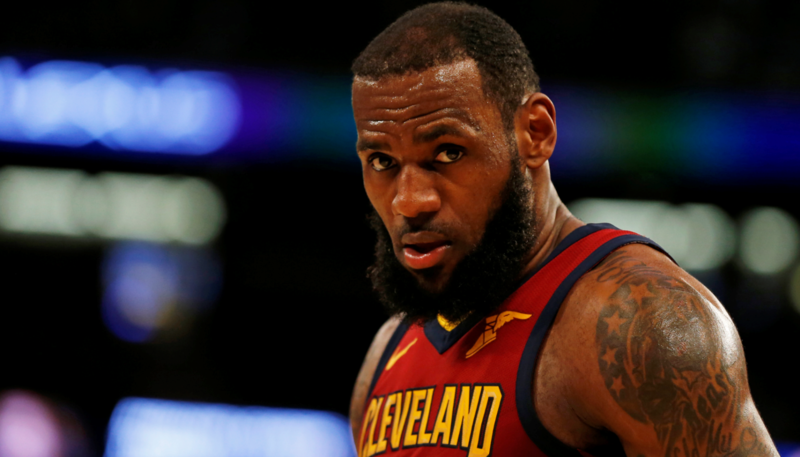 Anything sort of an Eastern Conference Finals appearance would be a major disappointment. The past history in the playoffs has to creep into the mindset of the staff, the personnel, and even the fan base. Washington is talented enough to give Toronto a real challenge in a best-of-seven scenario. The Raptors should be able to advance — but don’t be surprised if this series goes seven games. Let us analyze the top-three seeds in this year’s installment of the playoffs. 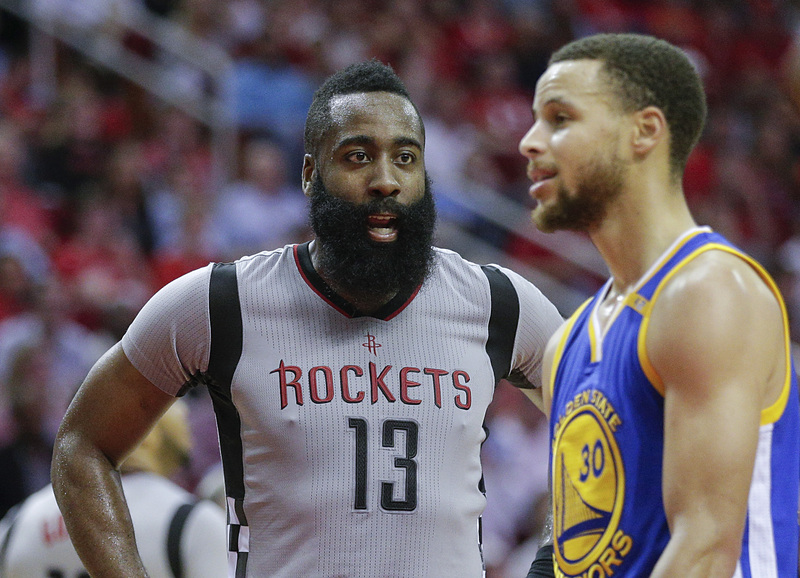 Barring complete collapses, Houston and Golden State should advance comfortably. Philadelphia looks primed to get past Miami. As previously discussed, Toronto should be able to (at the very worst) edge past Washington. With that in mind, it leaves us with Portland and Boston. The Celtics — perhaps more so than any other team — have been ravaged by injury. Gordon Hayward’s freakishly bad luck aside, Boston has dealt with physical ailments to Kyrie Irving, Marcus Morris, Jaylen Brown, and Marcus Smart. Irving’s knee has effectively ended his season. Smart is no guarantee to feature at all in the first round. As such, Brad Stevens has had to rely more than ever on his mental acuity to try and scheme his way into the conference semifinals. The Celtics will be at a severe talent disadvantage when taking on the No. 7 seed Milwaukee Bucks. Though wildly inconsistent throughout the year, Giannis Antetokounmpo is still a top-five player in the entire NBA. He also has a host of other complementary pieces (Jabari Parker, Khris Middleton, Eric Bledsoe) to utilize. With Hayward and Irving out, Boston will be relying heavily upon a first-year player in Jayson Tatum and a host of overachievers. Despite Tatum being very talented, this isn’t an ideal scenario for any franchise. The other intriguing potential upset is No. 3 Portland v. No. 6 New Orleans. The Trail Blazers enter the playoffs having gone 5-5 in their last 10 games — whereas the Pelicans have won five in a row. Portland’s standing as a top-three seed was largely due to Damian Lillard developing into an all-league guard. His ability to get to the rim — whilst also involving teammates — truly took his game to another level. C.J. McCollum can score 20 in his sleep, and the Blazers possess a plethora of effective role players (Jusuf Nurkic, Evan Turner, Shabazz Napier, Moe Harkless, Al-Farouq Aminu) to pick up the slack in all other areas on the floor. For as good as Lillard is, New Orleans possesses the best player in the series. Anthony Davis has been phenomenal this year — particular in the wake of the brutal season-ending injury to DeMarcus Cousins. Davis impacts the game on both ends of the floor to the point that he likely will be a First-Team All-NBA player and a First-Team All-Defense selection. Davis has a decided advantage in the post going up against the likes of Nurkic, Ed Davis, and potentially Aminu. Should Portland opt to double and even triple-team him, the Pelicans boast capable shooters (Nikola Mirotic, E’Twaun Moore) from beyond the arc. Jrue Holiday’s ability as a shot creator and defensive dynamo also cannot be discounted. Without question, Davis is good enough to carry the Pelicans to a first-round series win. Bar none, this will be the most competitive series in the first round. Russell Westbrook has the stubbornness of the biggest mule on the planet. However, he’s also equipped with an internal drive unparalleled when compared to the rest of his peers. Essentially, this contest pits a team chock-full of preseason hype against one that sleepily — yet effectively — trudges through the regular season. Utah systematically dismantles the opposition in large part due to its suffocating style of defense. It has a host of long, versatile, athletic wings with the ability to shoot it from three. The battle down low between Rudy Gobert and Steven Adams will make any big man enthusiast foam at the mouth. Paul George may have a tough time with the combination of Jae Crowder and Joe Ingles draped all over him. Plus, there’s Carmelo Anthony languishing on the perimeter as a shell of his former self. 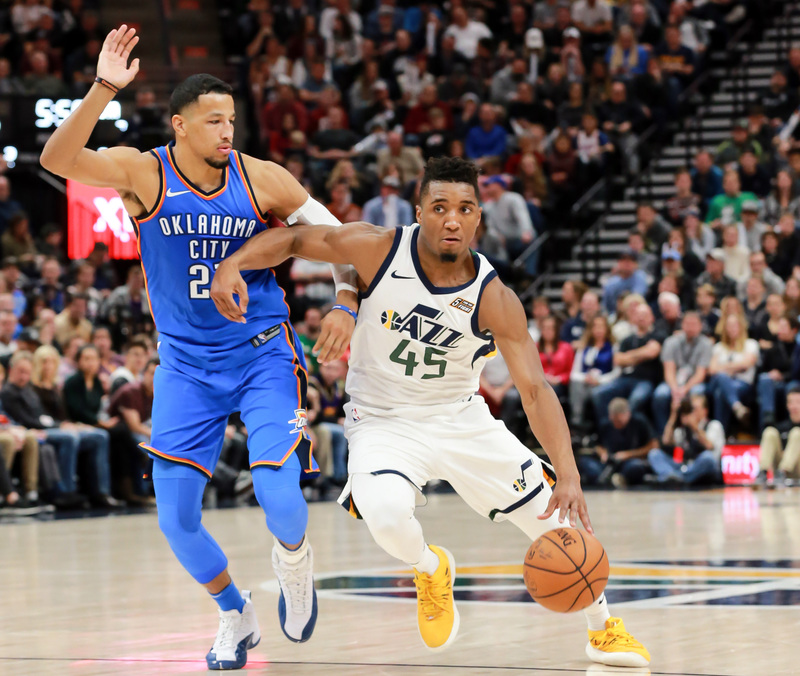 Though Westbrook is the most athletic guard in the game today, Donovan Mitchell bears some semblance of Westbrook as a younger player. Precocious and athletic, the high-flying rookie out of Louisville has taken Salt Lake City by storm. Mitchell not only leads the team in scoring, but he’s also looked at as the guy in crunch time. Further factoring in the chess match of coaching moves between Quin Snyder and Bill Donovan, and this should be one hell of a series. 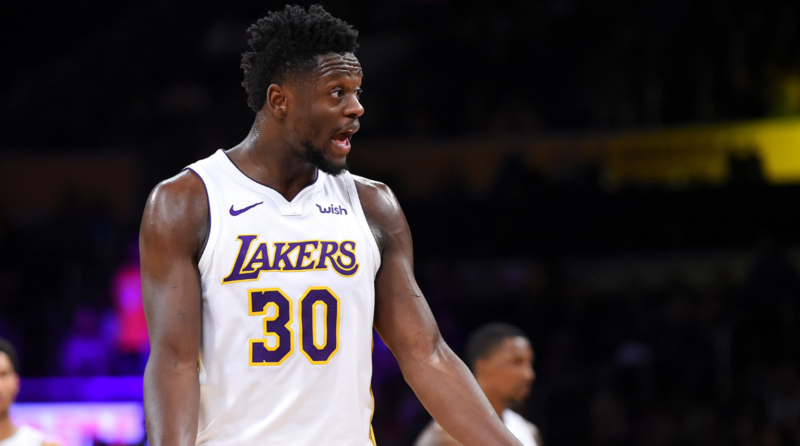 Which Restricted Free Agents Are Getting PAID This Off-Season?